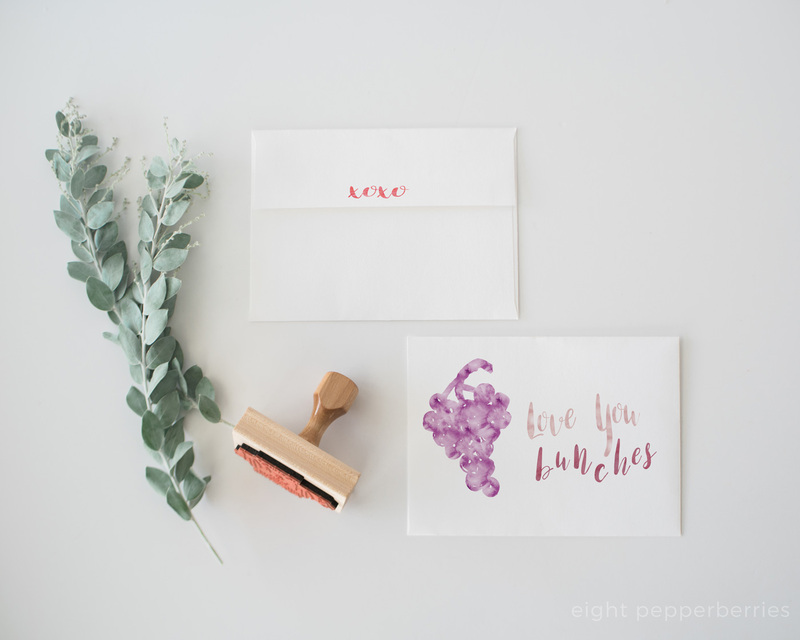 With Valentines Day just around the corner, I thought I’d spread some love with some printable watercolor Valentines Day cards. 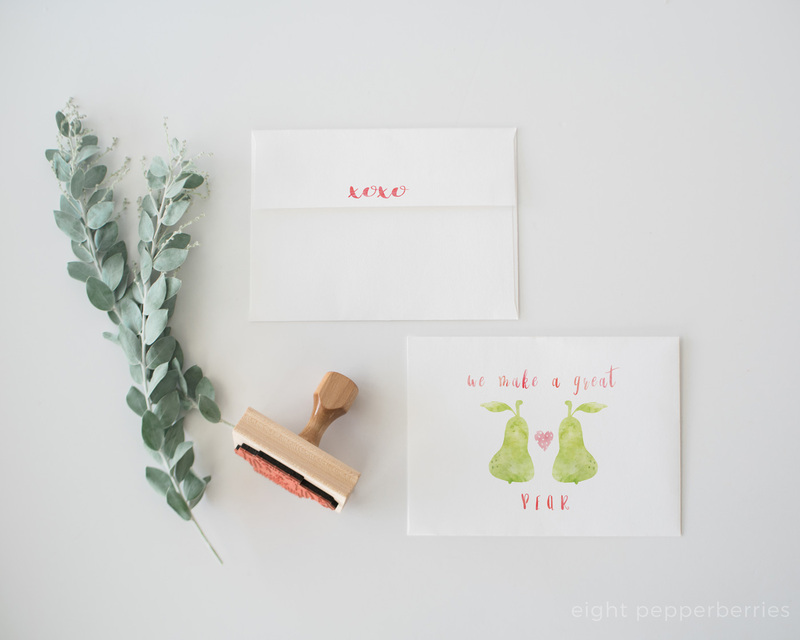 Last year I shared these sweet love notes, they are cute and petite, but this year I wanted to share with you a full size folded card you can print and put in an envelope. Snail mail is the best! I’ve been in to watercolor lately so I went with some fun fruit designs and what’s not to love about these cheeky sayings and cheerful colors?! These are bound to put a smile on someones face and even though I made these in time for Valentines Day, use them year round to let someone know how much you appreciate them. Each watercolor fruit card is sized to fit an A1 or 4bar envelope (these are my favorites) and measures 5 inches x 3.5 inches when folded. To use simply download-print on card stock– and fold. To get a nice crease for the fold score the card before folding with a bone folder. 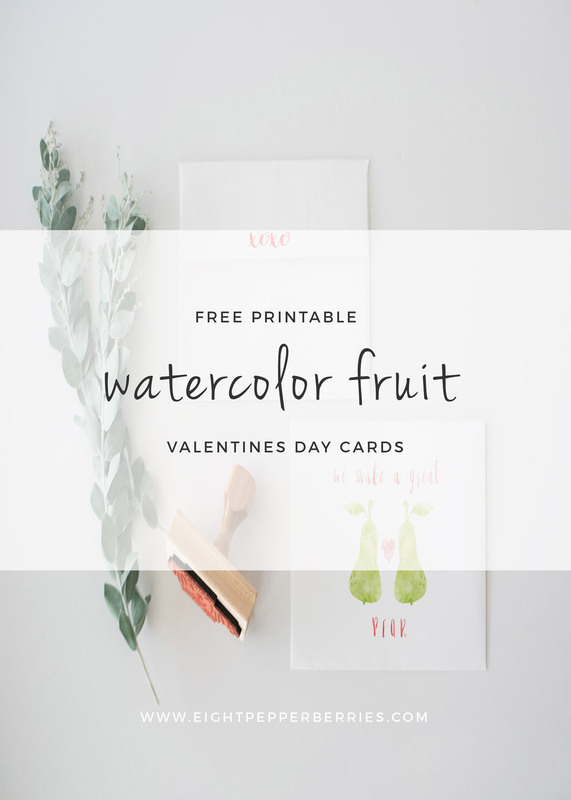 These watercolor fruit cards can be found in THE LIBRARY along with other fun freebies and printables from your favorite blog posts – art prints, cards, worksheets. If you are not a Library member, simply add your email to the list and you’re in! These cards are for personal and non-commercial use only. Please link back to original post if you want to share. Thank you for respecting these terms.